Great investment opportunity with no rent restrictions. This unit can be combined with unit #504 to make a large 2/2 apartment, Rent it out while not in town to get cash flow and stay while in town. Apartment-Hotel in the luxurious Trump International Beach & Resort. 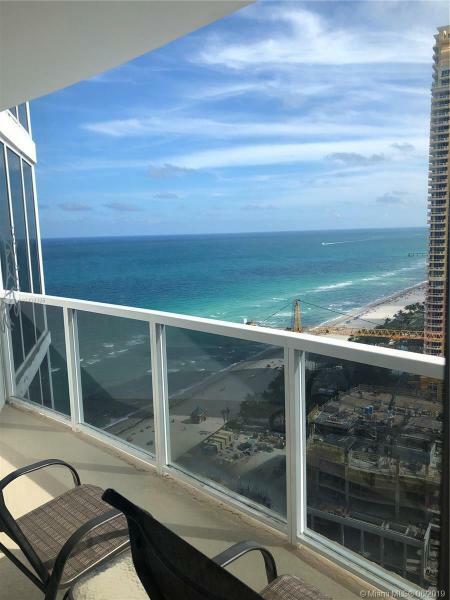 Amazing views and the best amenities you can dream of, fully furnished and room service 24/7. Full Service Spa, Beauty Salon, Shops, Restaurants, Valet Parking, Children Daycare, Tennis Court, Cabanas, owner closet and much more!Also please check units 504 and 1017.